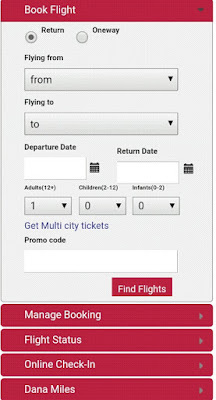 Making reservations and paying for your Dana airline ticket online is just a series of simple steps. You will learn how to book your flight online and pay for it using a debit or credit card. You will also learn how to make payment at the bank or ATM if you are not with your card. Attention: We recommend that you do this with your laptop or desktop computer or at a cyber café. Also, if this is your first time of booking a flight on Danaair, we recommend you do not try to do this on your own. 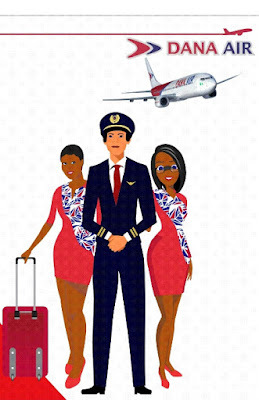 Here is how to book a Dana airline flight ( and pay for ticket) online. All set? The next page shows your flight details. Choose the options you want, including the kind of flight, noting the price that goes with it. Multi-city: making reservations for multiple flights across multiple cities at once. 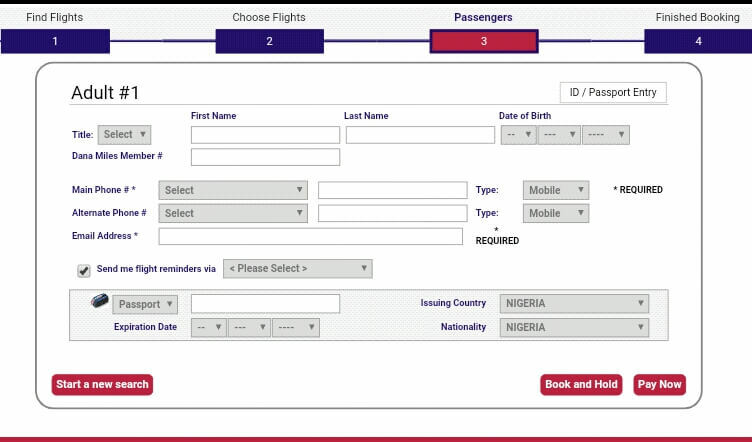 If you change your mind concerning these three options, after selecting any of them (round trip, one way or Multi-city), input your data and click on search again. Choose your options and click on continue. On the next page, view your travel itinerary. Make sure it is fine, check the icon to accept terms and click on continue. The next page is for details of all passengers you are booking flights for. 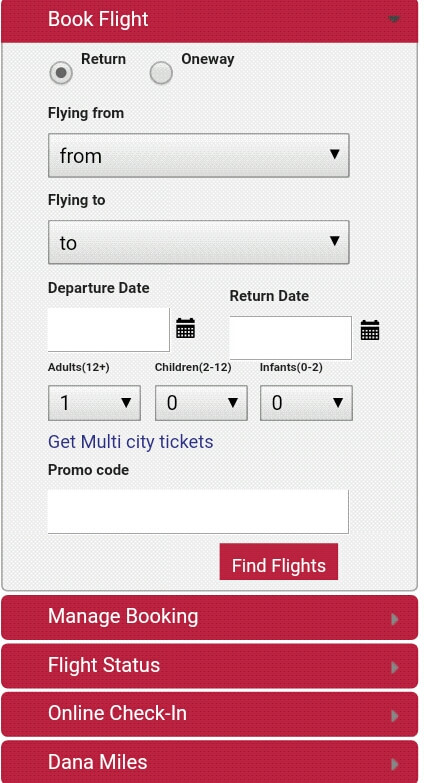 Enter passenger information and click on Pay Now. If you are paying at a bank or ATM, don’t worry. You will still find the option to do so on the next page. Copy the Passenger Name Record (PNR), save it. Your flight details including PNR and a PDF for printing will be sent to your e-mail any minute. Select payment options: To pay right away with your debit or credit card, select the option that includes Mastercard, Verve or Visa. (To pay at the bank or ATM, please scroll down to "making payment at the bank or ATM.)" Enter the OTP sent to your phone number or email and complete the payment. Check your email for your papers and print them. They contain all the details about your flight and your PNR. The flight date will also be added to your Google Calendar if you have it on your device. 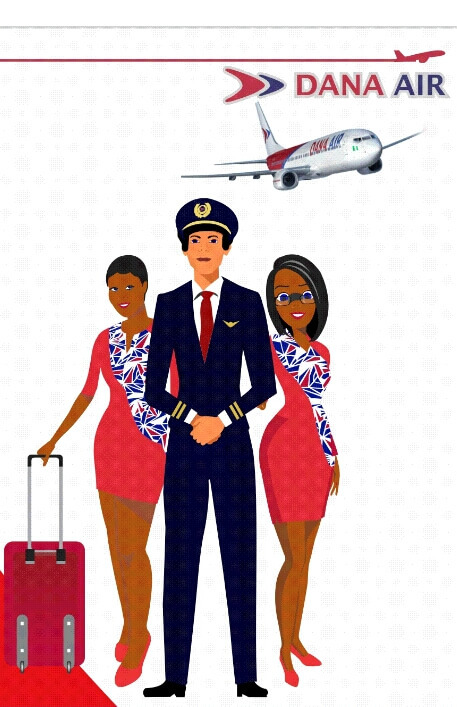 Your online Danaair flight booking is complete. An 18-digit Reference Code will be generated for you. With this Reference Code, you can pay at the bank or ATM. Check your email for forms and flight details. You can print the form that will be sent to you. From experience, the best way to make reservation and pay for your Danaair ticket online is to pay at once with your debit or credit card. If your card is not available, the next option you should consider should be to pay at a bank using your reference code. The final option should be to pay at the ATM using reference code. If you have a any complaints or need help on bookings, please visit Dana Airline Contact Page.